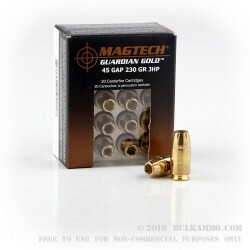 These .45 GAP cartridges from Magtech fire a 230 grain jacketed hollow point bullet at 837 feet per second. 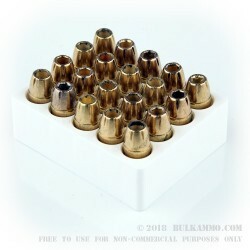 Each round in this box of 20 uses Boxer-primed brass cartridges. 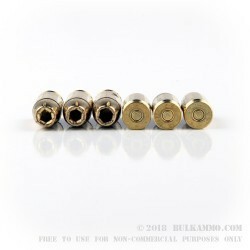 Please note that this is .45 GAP ammo, not .45 ACP. It will work well with the Glock 37, Glock 38, and Glock 39. 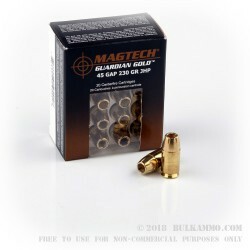 Magtech is the international brand of CBC, an ammunition manufacturer based in Brazil. CBC has grown since its founding in the 1920s to become one of the world’s largest ammo companies, with a 500-acre main production plant in Ribeirao Pires near Sao Paulo. The company manufactures its own propellants and primers and uses modern automated assembly line methods to ensure consistency in its products. Magtech’s US division, which handles marketing and distribution, is located in Minneapolis, Minnesota.